At Agri’s Martial Arts & Self Defense we specialize in Black Belt Excellence. We are more than a school for punching and kicking, we specialize in Character Development in Children and Teens. Our students learn essential LIFE SKILLS as part of their training, developing the individual and creating a Black Belt from the inside out! Master Henry considers himself a Community Leader and Mentor. His Passion and Aim it is to build Physically, Mentally and Emotionally strong Children into productive members of our community through his famous Skills for Life Program! If you are looking for a place where experience matters, look no further! Master Henry is personally involved with all students’ training and development. Our award winning Martial Arts Program will help your child get the right start in life and stay on the path of Excellence. For more information or to try a FREE CLASS, please call us at 508-599-2476. Agri’s Martial Arts & Self Defense Offers a free trial lesson to anyone interested in seeing if our studio is a fit for your needs. Please contact us today to schedule your free trial! 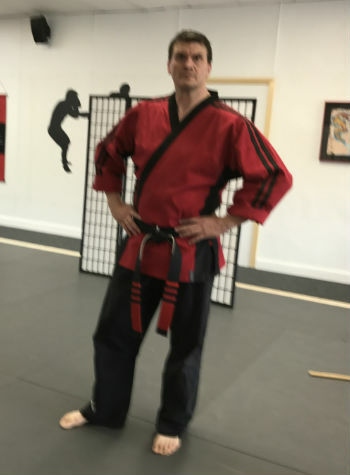 Certified 8th Degree Black Belt in American Kenpo Karate under Grand Master Larry Tatum with more than 34 years of teaching experience and more than 38 active years training in the Martial Arts. Board member of LTKKA Larry Tatum Kenpo Karate Association. Internationally recognized Kenpo Instructor with teaching experience in US, CANADA, EUROPE and the UK. Extensive Background in Security and Personal Protection with Degrees in Criminology/Law Enforcement and Psychology. Experience Matters! Sign Up Today and Save! Pay for your first month and receive your uniform for free. This offer is for a limited time only.